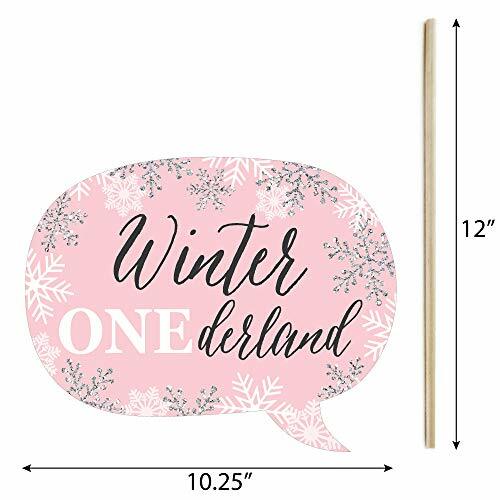 10-Piece Funny Pink ONEderland Photo Booth Props Kit INCLUDES 10 onederland arrow and speech bubble photo booth props, 10 wooden dowel sticks and stickers for assembly. EASY ASSEMBLY: Simply attach the printed DIY photo booth props to the wooden dowels with included reinforcing stickers. PERFECT FOR ANY CROWD! Photo booth props are fun birthday party supplies for adults and kids - everyone will love the funny sayings on these Pink ONEderland photo booth props. Take entertaining and shareable party photos while making memories with these funny photo booth props! 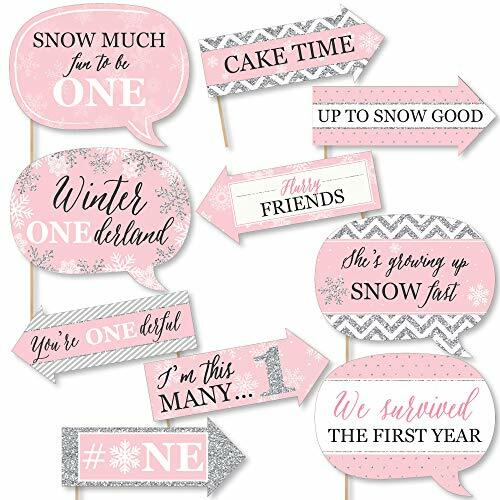 PINK WINTER PARTY DECORATIONS: Many fun ways to use these cute photo booth props! Use as intended and take party photos to share; Add them to vases and floral arrangements as a fun party centerpiece; Accent your birthday party candy buffet by displaying them in apothecary candy jars; Adhere as direction arrows to walls and your guests to the birthday party! 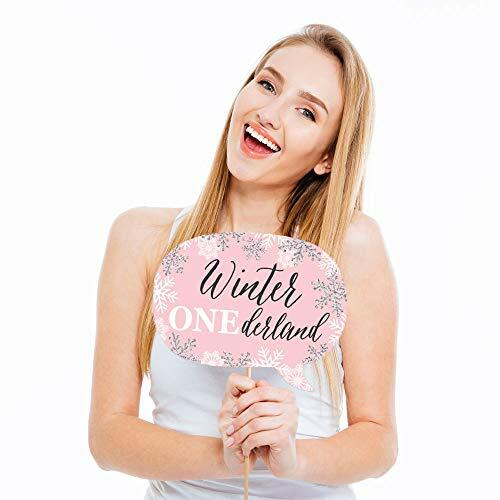 HIGH-QUALITY: Pink ONEderland photo booth props are professionally printed on thick cardstock paper. They will arrive cut out and ready to assemble with the included wooden dowel sticks and stickers. 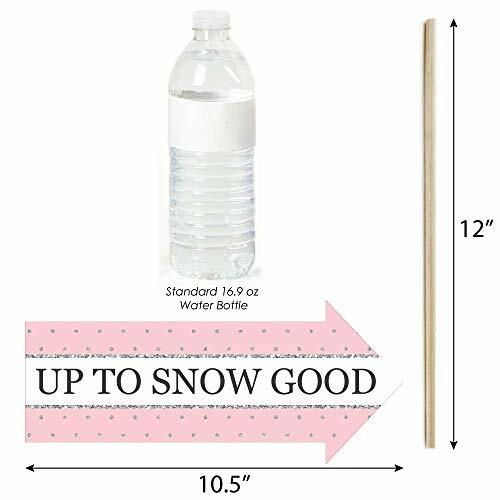 Pink snowflake photo booth props use a No-Mess Glitter Print: Our photo booth props are designed with a printed image of glitter, eliminating glitter flake while maximizing bling effect! MADE IN THE USA: Funny Pink ONEderland - Party Photo Booth Props Kit is designed and manufactured at our Wisconsin facility using materials that are Made in the USA.